Hernando County authorities saved a dog named Fancy Ketchup after its owner put him in a freezer for 30 hours. BROOKSVILLE, Florida — A man was arrested on animal abuse charges last night for allegedly putting his dog in the freezer after it caused him to lose a round in a first-person shooter game. Thirty-nine-year-old Dennis Gibbs told authorities “I was playin’ the game, and he just jumped and knocked the controller out of my hand. … I just got caught up in the moment”. The dog, named Fancy Ketchup, suffered minor freezer-burn and sustained itself on Totino’s Pizza Rolls and ice cream for the 30 hours it spent in the freezer. After placing him in the freezer, Gibbs bragged to his online team members about what he had done. 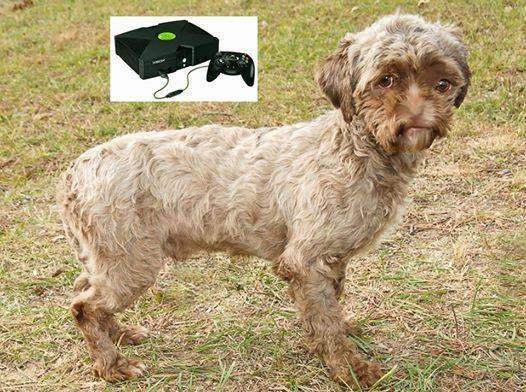 One fellow gamer alerted the police, who were able to track Gibbs down and save the dog before it was too late. Sandy Yolker graduated from Gorn College in 1988. She has a Masters Degree in Journalistism and she is a proud mother of 3 children that she spends time with every first and third weekend. Previous story A racist planned to open a whites-only Arby’s and then researched his heritage on Ancestry.com. What happened next will make you reconsider your worldview.